As a small island, we need to work close together with our partners. Because of that, TCB Europe launched two mini campaigns in June. One of the campaigns was for all of the travel agents in our database; and the other was for all of the dive operators, dive shops and diving schools in the Netherlands and Belgium. 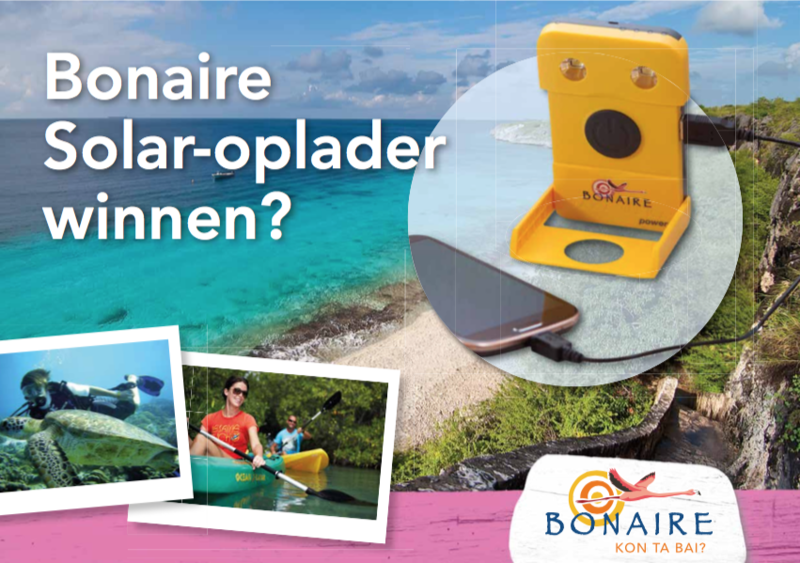 Through direct mailings and EDM’s they can participate in the contest and win one of the unique limited edition Bonaire WakaWaka’s; a Bonaire branded solar-power charger for your mobile device.